I have recently received these L’oreal products as a gift, so after using them for a while, I thought it would be great to do a review. 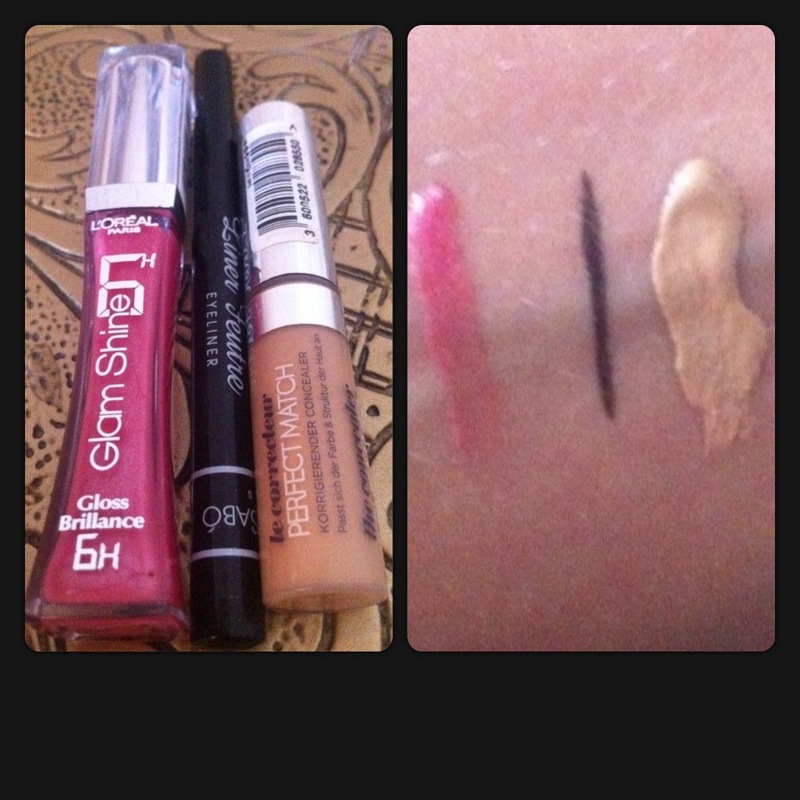 Starting from L’oreal Glam Shine 6h lip gloss, I must say I was very prejudiced against it. I tried it in different shades and I absolutely hated it – it smelled cheap, was VERY sticky (even stickier than Victoria’s Secret lip glosses!) and it dried up my lips like crazy. After that awful experience, I would never ever go buy them again. However, when I received one as a present, I forced myself to give it another try. Mine is in the shade 102 ‘Always Pink’ and it’s a pretty dark pink with very subtle shimmer to it. The color is very sheer and matches my natural lip color almost perfectly. It looks very flattering on almost anyone because it looks so neutral. After applying it, I realized it wasn’t that bad at all. I have found out that with L’oreal 6H lip glosses, some shades just have crappy quality and sticky texture to them, but this one turned out absolutely lovely. As I have already mentioned, it looks very natural and pretty on it’s own, but I love using a nice moisturising lipstick underneath (so that it won’t dry up my lips). Definitely going to purchase a couple of more shades of these. Next – my new concealer True Match by L’oreal. I have been loving my Garnier roller under my eyes and my Maybelline concealer to cover up rednesses/pimples for a while, until I got this little devil. It’s quite thick, so I won’t recomment using it under your eyes, but to cover up other imperfections, it’s perfect. Great drugstore product, that is easy to apply and blend, it also stays on very well. But what I like best, is the shade – it’s just perfect and it really adapts to my skin tone. If you are tan like me or slightly lighter, definitely try the shade 3 ‘Cream’. And finally, the new eyliner I got from one of my favourite makeup brands – Vivienne Sabo. I can’t say I am too pleased with it – it’s okay, nothing special. The tip seems really great, but it actually took me a while to make a perfect cat-eye. It’s an okay drugstore eyeliner for just $6.